Winter has officially arrived. While most of us look forward to Christmas, there will be many who will struggle just to keep warm this winter. There’s an estimated 35 million households in fuel poverty in the UK* and around 25,000 excess winter deaths each year in England alone*. With the over 65s, people with long term health conditions and those on lower incomes most at risk, knowing how best to stay warm is essential. - Keep your home at a minimum 18°C, especially during the night. See if you’re eligible for Winter Fuel Payments or Cold Weather Payments to subsidise your heating costs. - During the day, don’t just stick on a jumper – layer up instead. Lots of thin layers will help trap in the heat and keep you warmer for longer. - Extra blankets at night – or even an electric blanket – will help keep you at a comfortable temperature while you sleep. Alternatively, try a hot water bottle - but never in conjunction with an electric blanket. - Regularly drinking hot drinks will help warm you from the inside – but making sure you eat well is also important. Food is a good source of energy to help keep your body warm. 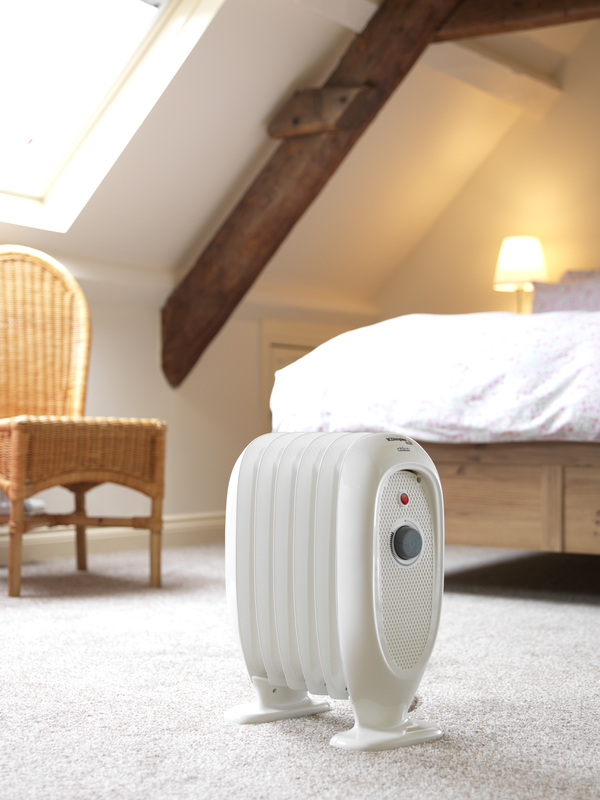 - If you need to inject a bit of short-term heat into a room, consider a portable heater. They can be easily moved from room to room so you can direct the heat where you need it most, and models with accurate thermostats will be more cost-effective to run. Check out our range of portable solutions here. - And finally – stay active, stay warm!